I have heard a lot about social media marketing and how it helps brands and Retailers to reach out to a large customer base. But I tried it out for the first time, all by myself. Facebook promotion is quite simple. One needs to provide the target segments of people whom you would like to reach out to and pay online - rather set payment guidelines; and it automatically collects the payments at the end of the campaign. I was quite astonished at the simplicity of the Facebook campaign mechanism - no wonder there are so many who have benefitted through it and are spending billions of dollars at the moment. For my start-up Retail venture, Smiling Baby which was inaugurated last Friday (26th Sep. 2014), I created a viral promotion to reach out to the people who reside in and around Adyar, in South Chennai where the store is located. Within a span of minutes, I could see increasing levels of "Clicks" and "Likes" for my page. Within 36 hours, the campaign had reached almost 20,000 people! Over 9,000 people had clicked the post and 3,400 people had viewed the photos... For a first timer, this was a remarkable achievement I would say. So, what went well? To begin with, the usage of the right key words - based on location of customers on their respective walls; their preferences - words such as child, baby care, etc. that they have used quite much. And ofcourse the choice of both genders to reach to the maximum number of people. Now, the big task lies ahead - to engage these people over the coming days and also to bring them to the retail store, so they could experience the shopping first hand. I am looking forward to the four-day long weekend starting Thursday. Hopefully, many of those who have liked the posts and photos should turn up and shop, for that is when the campaign would have been really successful. Why the iPhone6 will help Retailers! Sep. 9, 2014 would be an important day in the history of Apple. The company, which regained its ground in the mid-2000s ever since the launch of the first launch of its iPod and later the iPhone has come a long way, with various models, variations and sizes. On Tuesday, Timothy Cook, CEO, Apple Inc. announced the launch of its newest mobile phones, the iPhone 6 and iPhone 6 Plus. Here is a look at how the phones compare in size with the iPhone 5S which was launched in 2013. The new iPhone 6 has various interesting features – better camera for higher quality photos and videos, a better battery life (which has been one of the biggest grouses of iPhone users) and a number of cosmetic changes through the new operating system, the iOS 8 which will be released on Sep. 17, 2014. The iPhone models starting with the 4S, some of the models of iPod and iPad would be able to upgrade to iOS8. The new iPhone is much thinner than the current model. Take a look at it. Apple also announced the launch of Apple Pay, a mobile payment system in which users can pay through the mobile phones over a technology called Near Field Communication in which the user has to simply tap the iPhone 6 on to a terminal, confirm the payment with fingerprint sensor and the payment is done. There is no storage of credit card numbers, so there is very little possibilities of data theft. Apple also claims it would never know how much the user paid, thereby maintaining highest level of privacy for users. The service would be available over 220,000 outlets across the US, a mere 2.7 of the total number of retail stores that accept credit cards. Notably, it would take many years for this new form of mobile payment to even come to India, forget gaining acceptance. Add to that the negligible single-digit market share that Apple has in India anyway! What’s interesting is the way the iPhone 6 and Plus have been priced. Although the official announcement about prices in India is yet to come, it is expected to be sold around Rs. 50,000 for a 16 GB, around Rs. 58,000 for 64 GB and about Rs. 65,000 for a 128 GB model. Yes, you read that right, 128 GB of storage space in a handheld device! In the meanwhile, older models of the iPhone has been seeing prices coming down over the past few days just before the announcement of the new iPhone. 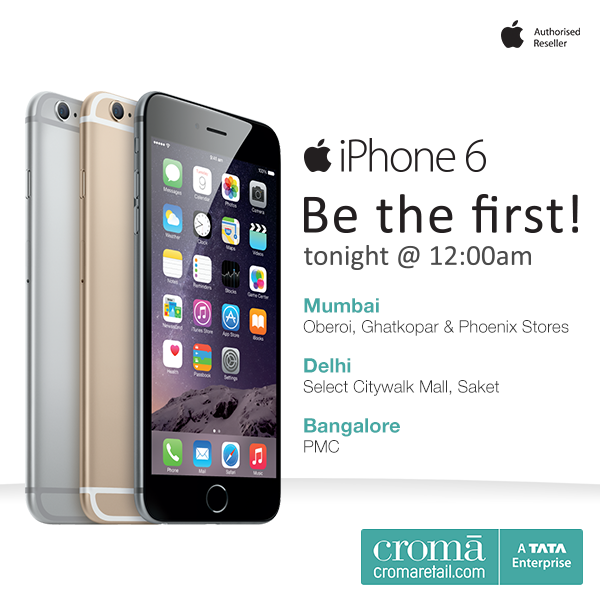 It is further expected to be slashed just in time before the offical launch of the new iPhone 6 in India, which is expected on 17 Oct. 2014, well in time for the festival of Diwali. I believe the iPhone 6 would not be much of a game changer for the company, atleast in India. The changes made are purely cosmetic, such as the size and a better User Interface (UI), but other than that, I wonder why many first timers would opt for the new iPhone 6. Apple has finally entered the Phablet segment – which is an inbetween platform for phones and tablets with the iPhone Plus. It would take upon the Samsung Galaxy Note 3 directly in competition, although Samsung would lead the way due to its pricing and reach. But what the new iPhone would do is bring down the prices of the existing models considerably, and make them more affordable to potential buyers. Bundling with a Telecom Player hasn’t seen much of a success in India, although that’s how the first iPhone was launched way back in 2007 in association with Bharti Airtel. Over the years, the company realised that users are not loyal to the Telecom Companies and switch networks as and when they feel, such as moving to a new job (with a different corporate plan) or city. 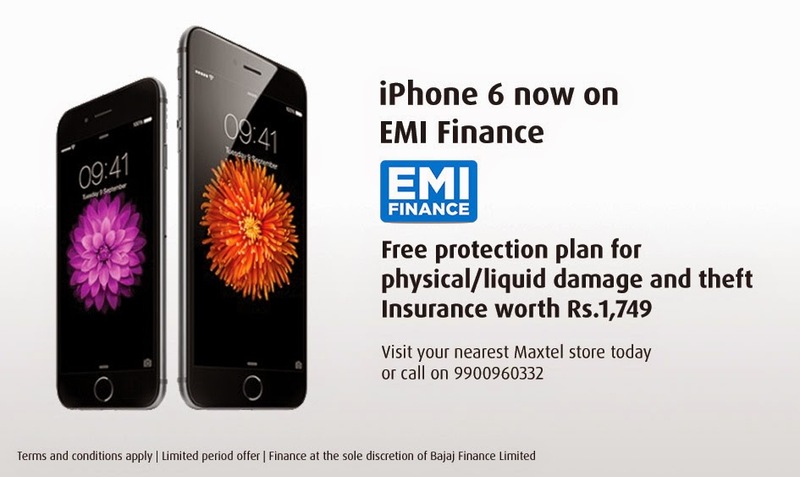 Since 2012, Apple has brought in the much celebrated EMI Schemes in association with Banks and retailers. 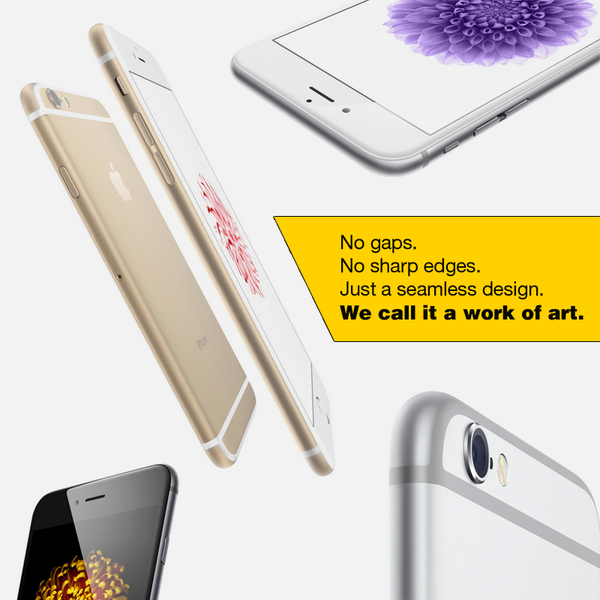 Most recently, it has also been trading in older smartphones, and not just the Apple iPhones. So, models such as iPhone 4S, iPhone 5 and 5S will see their prices reduced and consumers would be lapping up these phones with delight. However, Apple has an opportunity to build a strong connect and ecosystem with existing Apple users over the next 3 – 5 years. It needs to pump in more and more older models into the market, so users get to understand the Apple experience and would most certainly trade-up with the newer iPhones in future. Smartphones have come a long way in India over the years. Until about ten years ago, the most popular phones for business purposes were BlackBerry followed by Nokia Feature Phones for personal uses. Others like Samsung, LG, Motorola, etc. had very limited models and therefore very less sales (penetration) as well. Things started changing with the launch of the Apple iPhone in 2007. The iPhone revolutionised the way people used mobile phones with its remarkable technology, style and utilities. As is quite famous about Apple Founder Steve Jobs, the company doesn't conduct much of surveys about user's needs - it rather provides features that users never thought they would need one - the most recent being the finger print scanner for unlocking the iPhone 5S which was the most recent launch in 2013. Samsung Electronics, which is one of the leading Electronics companies in the world has surged past others in less than half a decade to dominate the world's number one position in Smart Phones across the world as well as in India. According to a recent report on NDTV Profit, Sales of Smartphones rose by 84 per cent in the quarter ending June 2014. Local and Foreign companies alike are sacrificing profit margins to build market share in India, which counts 914 million mobile users, according to Government of India data. Technology Consultancy IDC India projects annual smartphone sales growth of around 40 per cent for the next five years in this price-sensitive nation. This is a delightful news for Retailers selling mobile phones and accessories. Univercell, Chennai based Retailer of technology products including smart phones, feature phones and related gadgets has grown consistently over the years and is rated No. 1 in terms of their network, Strategic Locations, Innovative Marketing, Friendly service and most importantly, a wide array of products across various brands. The Retailer, recently launched its newest format, rightfully called "Univercell Sync" at the tony Nungambakkam neighbourhood in Central Chennai. The store, spread over about 800 sft is strategically located to enthuse passersby to drop over. While the brand is quite popular in the city, the new "Sync" suffix is sure to attract a lot of people to get inquisitive and enquire the details about the new initiative. The store layout is interestingly divided as various zones for purposes such as Photography, Music, Work, Accessories and Kids. Gadgets are displayed utility-wise rather than Brand-wise, which is a great way to encourage customers to choose the right gadget according to their uses. Global giants such as Apple, Samsung and LG share the display space with home grown Micromax and Karbon. However, the phones are still displayed price wise within the display areas so buyers can choose within the price range they require. I was pretty impressed with the Music zone, especially. If CDs killed Music Cassettes fifteen years ago, the iPod killed the CD players a decade ago. Today, most of music is stored and played digitally and handphones have most of them, since people prefer to have a single gadget for making calls, taking photos and for listening to music. The display also includes music gadgets such as speakers, bluetooth devices to stream music, ear phones, head phones and cables to connect. With the touch of a button, its quite easy to connect one's phone to many of the devices and have a live display, which would aid buying the right product quite easily. I was also quite intrigued with the kid's zone - a special area for interaction with the young ones - kids can hang around and explore various interesting things about the gadgets and the friendly staff are also helpful to teach them a thing or two. 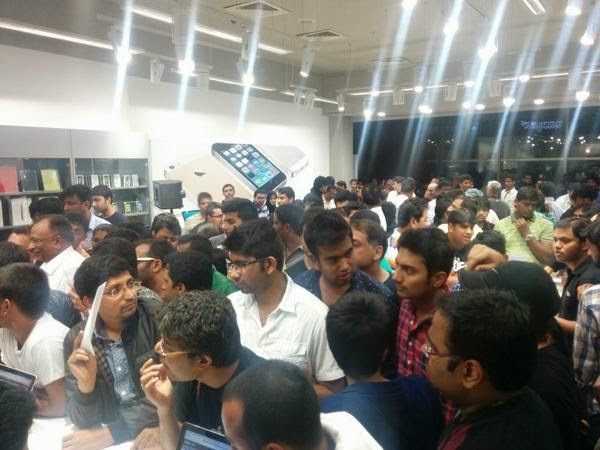 Overall, the store is a notch above the hundreds of retail stores across the city that also "sell" mobile phones. The Univercell Sync stores dont just sell, they rather provide a very unique experience that the next-gen is looking for. Do drop over at the store in the coming days and enjoy a world class experience and share your thoughts. Landmark: diagonally opp Basics Store. I have enjoyed my pizzas better at the restaurant that at home, all along. It is more to do with the fun of dining – you plan a trip to the pizzeria, a walk or a short drive usually, or even at a Mall after finishing retail therapy. I fondly remember the bottomless Coke and unlimited Pizzas at Pizza Corner in Chennai in the late 90s during my most cherished college days with my gang of friends. Have ever since been a fan of pizzas and the love has only been growing. Frankly, I like pizzas from different places, be it Dominos or Pizza Hut, California Pizza Kitchen or standalone indie restaurants. One of my most favourite of course has been from “Italia”, the fine dine restaurant at The Park, Bangalore. For me, Pizza is an all time snack. I am usually game for a pizza at any time of the day (or evening) although I avoid a heavy dinner of pizzas. In fact, the love of pizza is more because of the yummy accompaniments, the cheese garlic bread and an array of toppings, especially the gherkins and olives. Am not a big fan of coloured flavoured colas and would rather prefer a strong coffee if not a lemon ice tea to drown the heavy food. What I like best is food to be served hot and fresh from the kitchen. Haven’t been a big fan of home delivery or takeaways since I feel that the freshness is somehow lost, especially the international fare such as pastas, pizzas etc. although Indian food is still doable – we have an option to reheat the curries and biryanis at home once again which can’t be done with pizzas and pastas. Have avoided ordering pizzas at home for a long time now since I have had not-so-great experiences in the past, but that was probably because I used to live in Bangalore where the ambient temperature outside is not conducive to serve hot food by road. This Football season, I decided to order pizzas at home. No, I don’t follow the game but why not enjoy the delicious offers provided by F&B Retailers! So, first it was Dominos followed by Pizza Hut. On the first occasion, the pizza arrived pretty late, almost 45 minutes since I ordered. I was very disappointed with all the promises made by the company on various media, but gave a benefit of doubt to the delivery boy – he must have had a lot of orders to fulfil and mine was probably the last one. So, I didn’t make an issue about it and just left it there. Yes, I would give them a try once again in future and I hope they live up to expectations. On the next occasion, the pizzas were served hot and were in a consumable condition even after 20-30 minutes of being delivered at home. What was surprising was it was a Sunday and was the day of the “Final” match between the two teams. And yet, the pizzas were sent on time, well ahead of the promised time. They have a future customer for sure! In both occasions, I used the mobile applications of both these companies. The UI for Dominos is a bit confusing while the one for Pizza Hut seemed much better. In fact, I had to switch over to the website while ordering for Dominos since that seemed to be a better option. The UI is perhaps not designed by retail experts and with consumer feedback, it lacks the sensibilities that customers look for, especially people of the older age and for women, both of these segments may not be very mobile savvy. Also, one of my friends quipped on his Facebook post recently how the delivery boys call a number of times to take directions. The Pizza companies can take a cue from Uber, the taxi service guys who have a GPS enabled map on their cell phones that help the drivers reach their destination without even calling once. I happen to visit Phoenix Market City Mall in Velachery, a suburb of Chennai earlier this week. I usually don’t travel all that far, it’s a good 45 minute drive from my home. But I was there on an invitation for an event, so had to undertake the long drive during peak traffic. At the time of picking up the parking ticket, I was handed over a leaflet (pic below) by an unassuming guy. And he was distributing it to all the vehicles who were coming in. It was a weekday evening and there wasn’t much crowd at the time of entry, although it took me a good 3-4 minutes and a winding route in the basement to find a parking slot for my car. The leaflet offers parking reimbursement for upto 2 hours to those who visit the restaurant and consume for atleast Rs. 300/- at their restaurant or at the Food Court which confused me initially. Later, upon reading the fine print, I realised that the voucher was common for three malls and perhaps the Retailer operated various formats in each of them and hence a common leaflet. I found this to be an interesting way to bring customers into the restaurant / foodcourt as it applies. 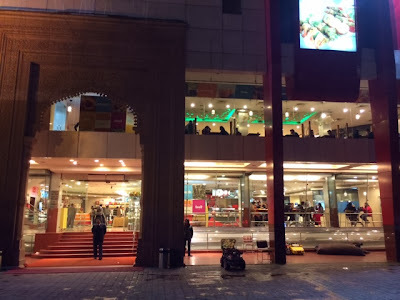 Interestingly, this concept was first experimented a decade back at Bangalore Central Mall, the first seamless Mall in India which is a part of The Future Group and has Food Bazaar and over 100 apparel and accessories brands within its precincts. 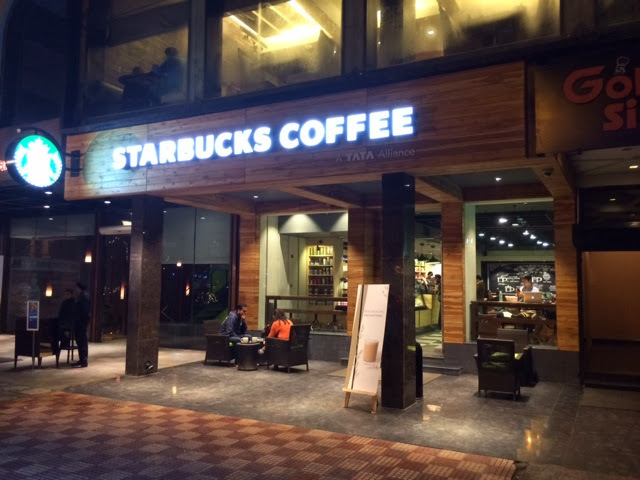 I was among the start-up team and had suggested this idea to reward customers to reimburse the parking token against purchases since the mall was located on MG Road and just a few yards away from Brigade Road, which is the historic hub for shopping in the city. The concept is a huge super hit and is still in practice. Bangalore Central is probably the only retail space in the country which offers reimbursement on parking charges which incidentally drives a lot of incremental footfalls. 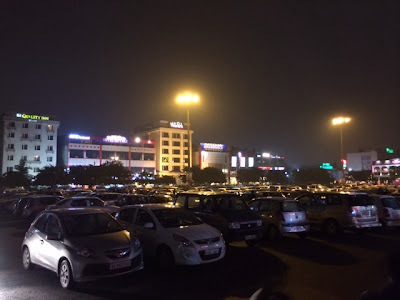 In fact, many who visit the Mall for window shopping or to the Café Coffee Day end up buying something or the other and use the parking coupon for reimbursement and are a happy lot. However, this is a very expensive proposition for the Retailer, especially the F&B operator in this case. The parking fee for 2 hours is around Rs. 100/- and this gets debited from the bill – which on an average would be around Rs. 450-500/-. Assuming that the Gross Margin is around 55%, there is nothing much that the Retailer gains by offering this promotion, except to ensure that his stocks get utilized fully. Ofcourse, it attracts new footfalls and a number of first-timers to visit the store and experience the outlet. In fact, this would work mostly for F&B operators only, who have more than 1,000 bills a day. It may even work for cafes although they wouldn’t have more than 200-250 bills a day. On the whole, these are unique ways by which the Retailers gets access to customers directly into its premises. The Mall, in many cases do not charge for the distribution of these pamphlets since they see it as an indirect way to send customers to the Food courts and Restaurants. On the whole, it’s a win-win for customers, the Retailer and the Mall. Great way to reward customers. K Ganesh and his wife Meena Ganesh are an entrepreneur and angel investor-duo. BigBasket, which is run on a daily basis by the founders of e-tailer Fabmart, on the other hand, is one of India’s only online grocery stores. Online grocery stores have been seeing big traction around the world, as recurring orders prop up the profitability of the niche e-commerce category. “The Series B funding for BigBasket, which should close in the next three-to-four months, will be around $40- $50 million. We believe it has huge potential, with gross margins of nearly 20 per cent. Every order is profitable for us on BigBasket,” Mr. Ganesh told The Hindu. Bigbasket founder Hari Menon, a successful entrepreneur who sold his brick-and-mortar retail chain Fabmall and Trinetra to Aditya Birla Group, is bullish. 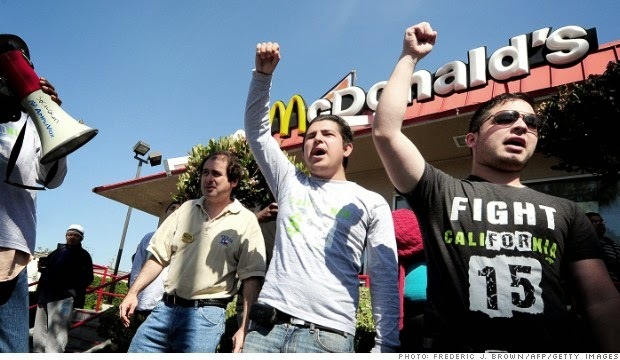 “It’s a huge, underserved market. Convenience is a major factor in our metros. We are finding that at least 85% of our customers return after the second order.” Menon said that revenue is increasing 20% each month. Bigbasket delivers 4,000 orders daily. In Mumbai, where the average size of an order is Rs1800, it does 800 deliveries each day. The site has served 200,000 customers so far and is expanding to Delhi and its suburbs. Menon said the company did Rs85 crore ($14.3 million) in revenue in 2013-14 and was on course to do Rs200 crore ($33.7 million) in sales this fiscal year. While the category is exciting, most customers seem to expect the savings (on real estate) to be passed on to them, which in reality is not. If the Real Estate savings are about 10-12% on Sales, the promotions and marketing costs are much larger than that, especially the first-time acquisition cost of customers. While most players do not offer much of discounts for every item, there are chances of combined savings when you buy more quantities or multiple brands from the same company. However, the overall sentiment seems to be simple- customers would buy products online only if they value their time more than the time spent in shopping offline at Retail Stores such as Spencers, Foodworld, Nilgiris, Big Bazaar, etc. India has a huge density of Kirana Stores while Organized Retailers in the big cities are already quite popular for more than a decade now. Fruits and Vegetables are still preferred to be bought from the vendors who sell fresh quality items, most of them directly sourced from the Markets. Retail FDI in multi-brand retailing is a contentious issue and even the new Modi-led Government is not actively pursuing this at the moment, for the benefit of the trader community who form a big chunk of vote bank. Online Grocery, at the moment is restricted only to those who work in odd-times, say BPO Employees and many others who would find it difficult to shop at a nearby store especially those who live in far off suburbs. Having said that, the Kiranas are much more active these days, offering various facilities such as door delivery to credit facilities to their customers. While Online Grocery has a great future, time will be a real reckoner. The first store for Reliance came up in Hyderabad. It was a grocery retail format and many skeptics wrote off the idea, citing intense competition in this segment. Gross Margins are low, two-digits and net margins, if any are a mere 4-6%. So, how would the company ever make money? Further, there were already established players in this segment, especially in the South (of India) such as Foodworld, Spencers, Food Bazaar, Nilgiris, FabMall, Trinetra (now together More), Fresh @ from Heritage Foods – the list could go on! But patience and perseverance has helped the company in the long term. According to a report in the most respected Hindustan Times newspaper, the company would become the largest Retailer in India by Sales in 2013-2014. The company is expected to close the year with $2 Billion in Sales, approx. INR 12,000 Crores. And it made a meagre INR 78 Crores last year and has made INR 278 Crores in 2013-14. That’s not bad at all. The company has been able to achieve scale over the past 7 years and its many Chief Executives of respective businesses have built the business brick by brick, sweating and toiling between Board Rooms and Store fronts. It’s a commendable achievement for Reliance Retail to achieve this position. Those who know me well would now agree what I have been saying ever since Reliance joined the fray in the Retail sector. I predicted right in the beginning that they are here for the long term. With a cash pile of INR 90,000 Crores and managing the largest Oil refinery in the world, Reliance has real deep pockets. And its Chairman Mukesh Ambani is not someone to open and shut businesses. Its not in their blood. Dirubhai Ambani, the patron founder of the group tht every household in India should have a Reliance product in some form or the other. The group created a furore in 2002 when the Reliance Mobile network was launched with an exciting Rs. 501/- package making it the most affordable mobile phone of its times. Similarly, they forayed into various other businesses and turned around all of them, albeit patiently. One of the biggest reasons why Reliance has been able to reach where they are is also because of steadfast focus in the formats that they have opened and operated. They just have one Hypermarket, One Digital Electronics Format, three formats in Fashion, one in Jewelry and half a dozen international brand tie-ups. Makes it easy to focus on scaling up each vertical constantly. Reliance operates small supermarkets which compete with Kiran Stores and other organized players such as Spencers, Foodworld, Food Bazaar, etc. Reliance hyper directly competes with Metro AG, Best Price (Bharti Retail), Hypercity (K Raheja Group), Total (Jubilant Retail), Big Bazaar (Future Group) nd other local wholesale markets and APMC operated mandis. In the fashion segment, Reliance Trends is positioned against Lifestyle (Dubai based Landmark Group), Shoppers Stop (India’s largest Department store Chain) and Pantaloon (now owned by Aditya Birla Group). Reliance Footprints has a unique positioning and doesn’t have major names for competition except Metro and Mochi who have a pan-India presence. Reliance Jewels competes with the local jewelry stores in each micro market. Reliance Brands such as Diesel, Quicksilver, etc. compete with their international competitive brands. This is just the beginning. Look how Reliance is going to grow leaps and bounds in times to come. I am still sure that they wouldn’t have a JV with the global biggies such as Wal-Mart, Carrefour, etc. They would rather grow organically in times to come. The game gets more interesting. Restaurant business is damn exciting. While people don’t shop for clothes and mobiles every weekend, most people drop over for a good meal frequently and a great meal, once in a while. Great Meal, I mean is a bit indulgent. It could be a Michelin rated restaurant. It could be one among the top 10 restaurants in the country. It could be a celebrity chef’s eating place. Ofcourse, the Five-Stars. The list is long. However, the food business is also one of the tuffest to be in. In fact, it is also one of the retail formats where the churn is very high. For every 6 successful restaurants, three of them fail. And the reasons for failure are aplenty, Customer Service (or the lack of it) being one of the main reasons why restaurants cannot keep up in the short to medium term. Also, investors are not too keen to fund ventures that do not show the ability to scale. 2-3 outlets is not scaling up. It should be in double digits. Most of the restaurant owners are entrepreneurs, many having chosen the route to entrepreneurship after stints in corporate life. They invest their life time savings to open a restaurant (also includes Pubs / Nighclubs / Others) and usually find the going tuff within 18-24 months of opening. That’s when the business matures and needs further investment in marketing and PR – the machinery that keeps restaurants going. I was at a restaurant called “Tangerine” in the upmarket Alwarpet locality in Chennai. The last I had been there was about a decade back. The food was excellent, just how I remember it had tasted during my last visit. However, the place was a bit worn down. The kitchen, which has limited space and equipment cannot cook more than two dishes at a time, which increases the waiting time for guests. The staff fare not all that excited, since they don’t get regular footfalls all over the week. The business is all the more difficult if they operate in niche categories. In a city like Chennai, there is a strong thrust on Veg-only restaurants. Yes, you heard that right. In fact, India is the only country in the world which has so many veg-only restaurants and that too, all across the country. I visited one last month. It is called La Shakahari. La, being a french word and Shakahari being vegetarian in Hindi language. The restaurant is located inside a residential area and I was almost being challenged by the Google Map in my phone to find the place despite its best efforts. But once we entered, we realized what a great place it was. They had a set-menu as well as A la Carte. The set-menu offerred more items for what we would have paid otherwise while ordering them individually. One of the biggest challenges that Restaurateurs face is the inability to scale-up. Most times, it’s the lack of capital. At times, it’s the lack of intent and interest to grow. A potential investor would indeed be able to show inclination to projects which are tried and tested. However, many entrepreneurs just don’t expand. 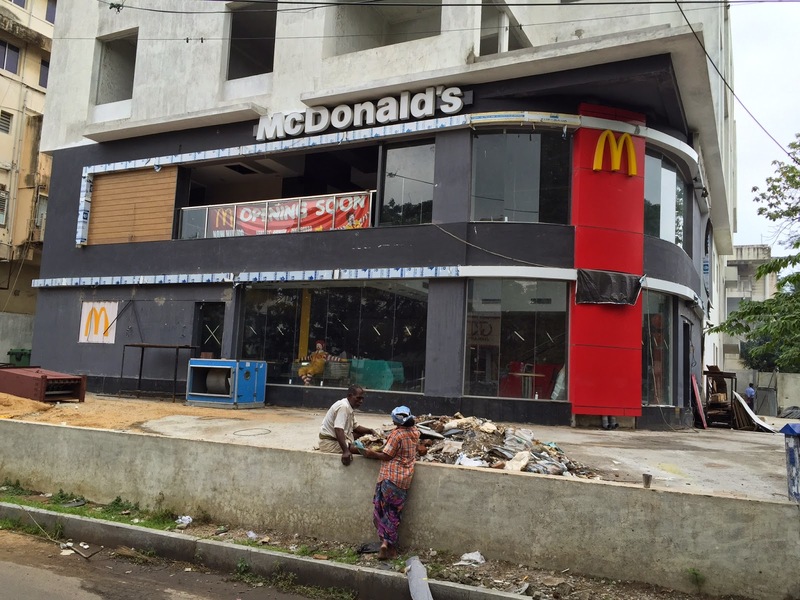 Another option to scale up is the Franchising route. However, the risk is you would lose consistency in the long term and many of them would probably serve food that tastes different. For fear of not diluting their exclusive menu and taste that it offers, these restaurants remain standalone ventures and thus allow others to crop up in other parts of the city. Of all retail formats, the F&B format is one of the toughest to operate. Many of them shut shop within 24 months of opening. If they withstand any further, then they strive to stay for a long time in their lifecycle. It also depends on the choice of real estate – Rent is almost 20% of Sales in Malls and about 12-15% at High Street locations. And that’s why you don’t find many of them in Malls not doing well or being priced exorbitantly. At the end of the day, the success of a restaurant is actually many factors playing in.